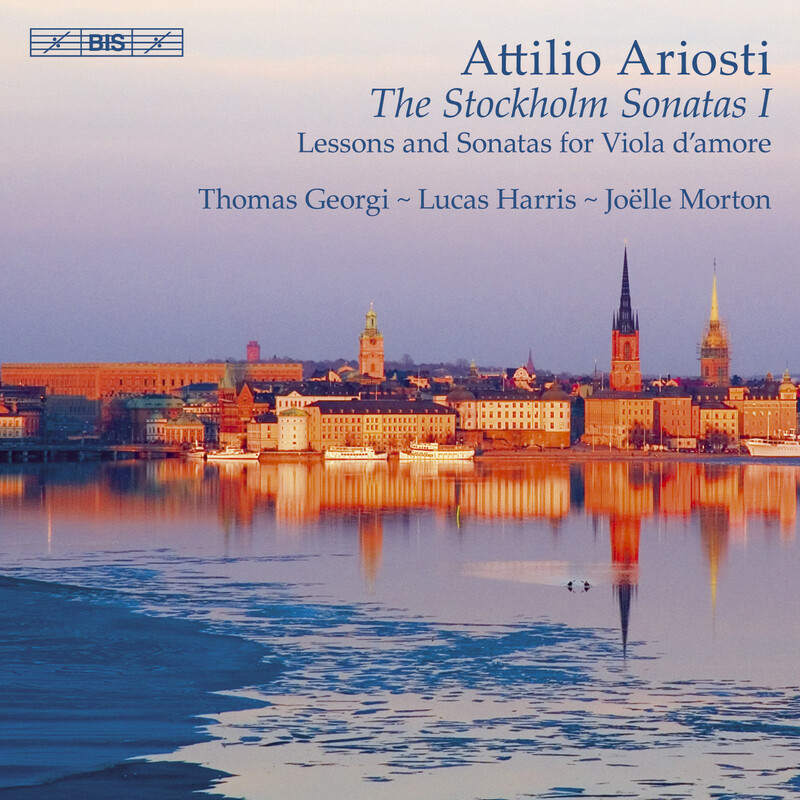 Attilio Ariosti (1666-1729) was a singer and organist, as well as a cellist and composer. When his name appears today, however, it is usually in connection with the viola d’amore. Ariosti was famous as a virtuoso performer on this instrument, but he also composed for it. The chamber works for viola d’amore which have survived are his Collection of Lessons and the Recueil de Pièces pour la Viol d’Amour, comprising 21 solos – really sonatas in all but name. Together they form the largest single set of baroque works for the viola d’amore. During Ariosti’s lifetime these works probably circulated in manuscript copies. That the solos of the Recueil survive at all is thanks to a young music student, Johan Helmich Roman, later known as the father of Swedish music, who copied them in the late 1710s and brought them home with him to Stockholm. In his initiated liner notes, Thomas Georgi, one of today’s finest exponents of the viola d’amore, gives an interesting introduction to Ariosti and the instrument, including the various tunings and notational system that are associated with it. This disc, the first of three, contains the six Lessons of the Collection, produced by Ariosti in order to promote the viola d’amore in England, his new home. Five of them appear as in the original, whereas Thomas Georgi has combined the sixth with four movements from the Recueil de Pièces, to form two sonatas – ‘Stockholm Sonatas’. A fascinating opportunity to enjoy a rarely heard instrument, expertly supported by Lucas Harris and Joëlle Morton, two of North America’s finest baroque instrumentalists.